Unitronics designs, manufactures, and markets quality PLCs for the global market. Easy to use, efficient and affordable, Unitronics products have been automating processes, systems, and stand-alone applications since 1989. UniStream is a powerful programmable controllers with incredible HMI features for complex machines and automation projects. Select UniStream Modular or UniStream Built-in for superb control functionality, the finest in HMI touchscreens, and a range of communication options that can boost you into Industry 4.0. UniStream Modular - Tailor UniStream 7″, 10.4″ and 15.6″ to suit your precise application. Select the size HMI panel you need–plug in a CPU, snap on the I/O and COM modules and build a compact controller to match your application requirements. UniStream Built-in: PLC + HMI + I/Os - Superbly compact, 5″ and 5″ Pro are highly compact controllers, where the PLC, HMI, and I/Os are built into a single unit and in a range of built-in I/O configurations. Vision series is an award-winning series of programmable controllers (PLC + HMI) , ranging from palm-sized controllers with onboard I/O to large-screen controllers with snap-in I/O. Vision is a true workhorse: reliable, versatile, field-hardened – a cost-effective All-in-One controller. Vision offers a model to meet any advanced control project need. Palm-size Vision All-in-One controllers offer a broad range of built-in I/O configurations. Larger-screen Visions support a variety of I/O modules that snap onto the back of the controller to supply onboard I/O. All Vision programmable controllers are expandable. Boost the price/profit ratio with award-winning Samba, a perfect fit for any small machine or simple project that requires a true PLC controller and a high resolution HMI color touchscreen. 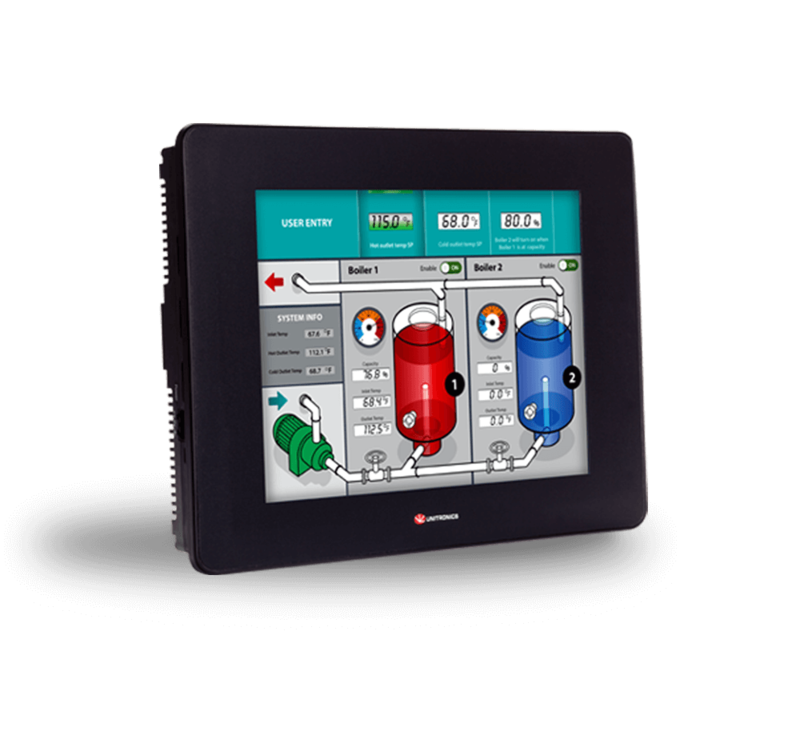 Upgrade your low-end projects with an elegant HMI screen, without sacrificing PLC functionality. 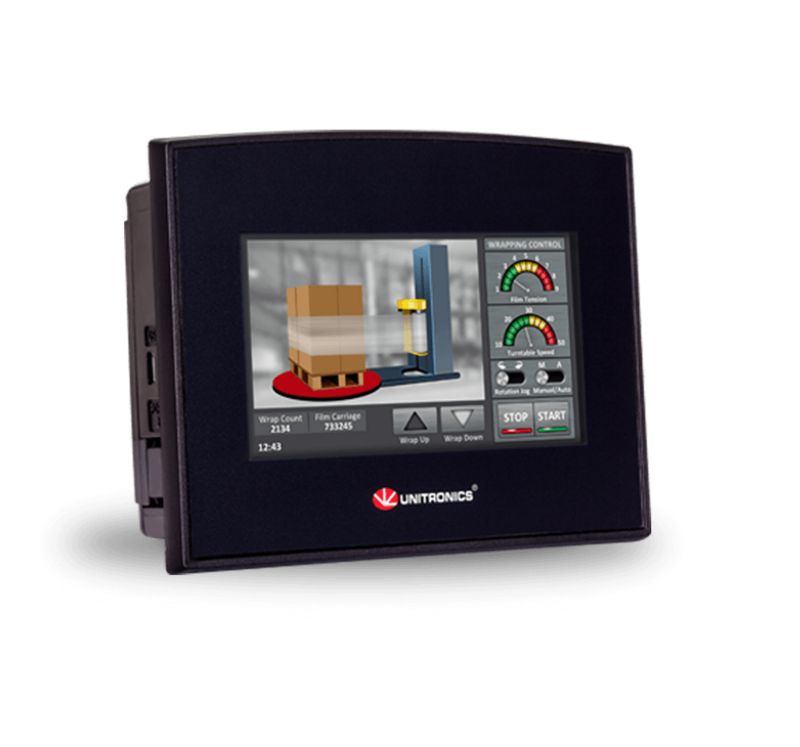 Samba™ programmable controllers offer a range of on-board I/O configurations. Offering a flat fascia, compliant with IP66/IP65/NEMA4X—Samba is an excellent fit for food & pharmaceutical applications. 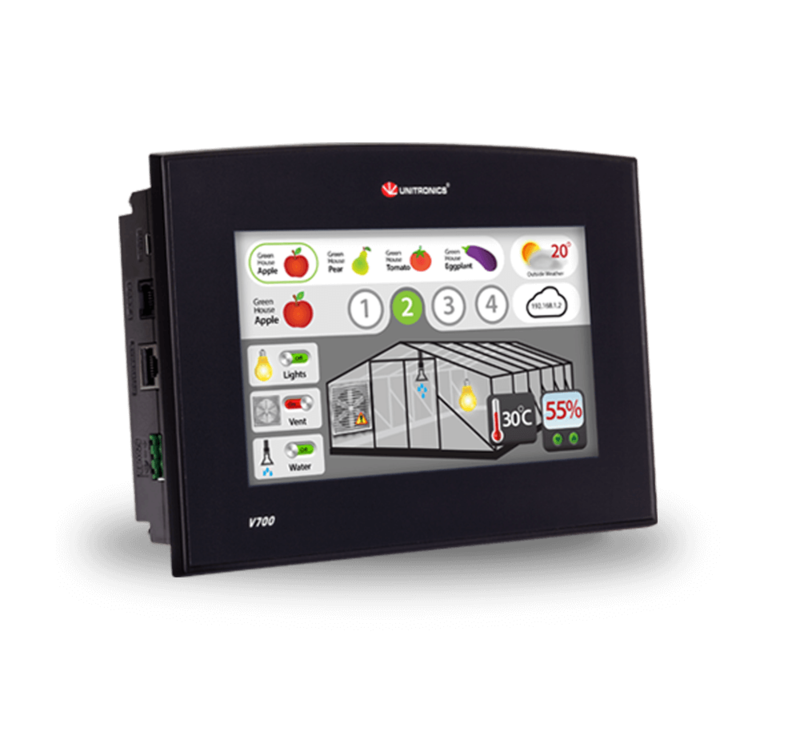 Jazz ® & M91™ are full-function programmable controllers (PLCs) with onboard I/Os and a built-in textual HMI panel, specifically designed to control small machines and simple-to-medium automation tasks. Compact, economical–low-budget control without compromising on features. 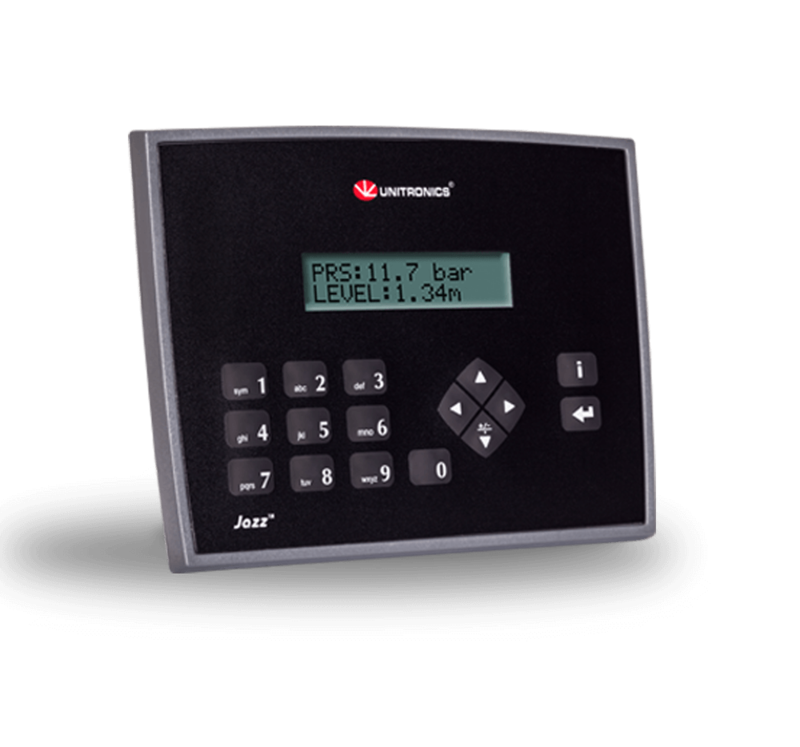 Both Jazz® & M91™ HMI panels offer 2 lines x 16 characters text display and embedded keypad. Both are available in models offering a range of on-board I/O configurations including high-speed and temperature options.M91 programmable controllers are scalable, and are compatible with a full line of I/O expansion modules. R.R.Floody Company is an Unitronics distributor in Northern Illinois, Iowa and Southern Wisconsin. We offer technical support to help our customers solve their applications.